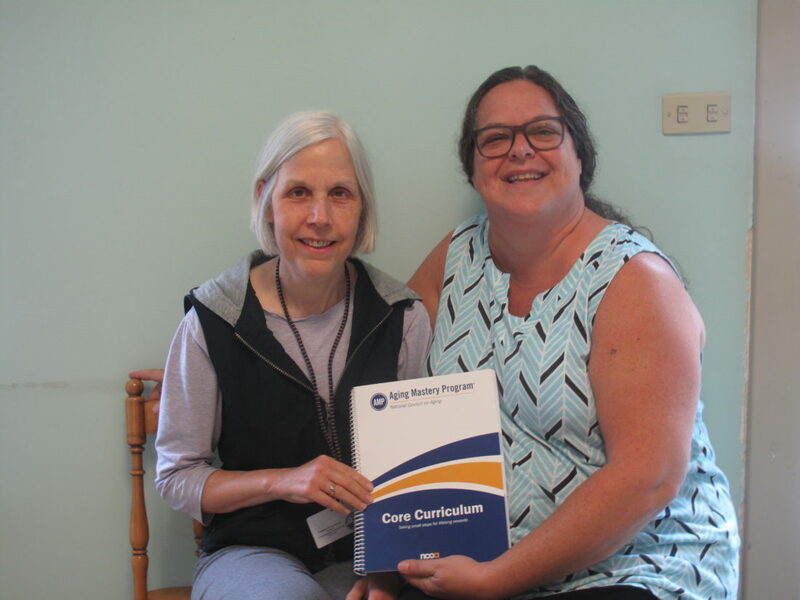 The National Council on Aging has partnered with communities across the country to deliver the Aging Mastery Program, which is being offered in Chautauqua County for those who want to get the most out of their third act in life. The Chautauqua County Office for the Aging is partnering with the Kidder Memorial United Methodist Church in order to implement the program for county residents aged 50 or older. Thanks to the Health Foundation of Western and Central New York, the workshops are free but space is limited, so the program will be delivered on a first come, first served basis. “The program’s about feeling good getting older,” said Judith Blitz, health educator and care transitions coach for the Chautauqua County Office for the Aging. Sporting an original curriculum, the mastery program provides evidence-based materials on being able to live fruitful lives as older adults, local expert speakers, group discussion and peer support. The overall goal is to provide older adults with the skills needed in order to achieve better health, physically, mentally and socially. A downward spiral of living alone, becoming depressed and growing weaker sometimes accompanies seniors’ ascent into old age. The mastery program seeks to combat that cycle by providing tools with which to sustain behaviors that will hopefully lead to better health and improved financial security among other things. Results from the program delivered across the country have largely shown that participants increased their physical activity levels, social connectedness and adoption of traditionally healthy behaviors such as better diets after attending the program. The vast majority of participants surveyed also said the program has improved quality of life and was fun along the way. “We’ve been getting really good feedback,” Blitz said. Life expectancies have risen dramatically in the past half-century, leaving many unprepared for the longevity they are likely to experience through their 70s, 80s and 90s. The Rev. Carolyn Stow of Kidder Church pointed out that no one knows what to expect at the age they are at because they’ve never been that age before, and that idea goes double for seniors who may be the first generation in their family to live as long as they are. The paradigm on getting older is shifting, Blitz said. Instead of worrying or lamenting at old age, people are instead embracing the wisdom and opportunities life as an older adult provides. Feeling positive about getting older as a teenager would look forward growing into adulthood is important to the program. “As you get older, you gain more wisdom. You value things that aren’t as physical,” Blitz said. Workshops will focus on physical aspects of getting older like staying hydrated and social aspects such as reducing isolation and gaining emotional stability. There are many high-functioning members of the elderly, including those who at 80 plus years of age are able to exercise, live independently and enjoy plentiful time with friends and loved ones. “The whole aging paradigm is changing,” Blitz said. The upbeat program offers helpful materials free of charge and also gives incentives for lifestyle changes and good attendance. “(The program) is based on fun,” Blitz said. Topics will include but are not limited to: changing sleep patterns and how to improve sleep, discussed by Jennifer Wendel, director of the Sleep Clinic at UPMC Chautauqua WCA; fall prevention, discussed by Blitz; benefits of being socially active as well as volunteering, discussed by Stow; importance of aerobics, flexibility and other physical activity, discussed by Cecelia Nosel of Chautauqua Physical and Occupational Therapy; and strategies to be economically secure during a longer retirement period, discussed by Candy White of the Southern Chautauqua Federal Credit Union. A graduation ceremony will take place at the end of the program. Workshops are planned for the northern area of the county in the future. The Aging Mastery Program workshops will be hosted at the Kidder Church on 385 South Main St. in Jamestown on Thursdays from July 12 to Aug. 9 from 1:30 to 3:30 p.m. Workshops will be hosted in the Fellowship Hall, which is handicapped accessible. Pre-registration is required, and anyone interested can call NY Connects at 661-7582 or the Kidder Church at 488-1680.